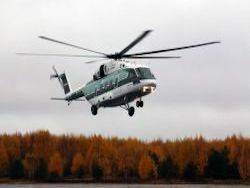 One of the family of highly successful Sikorsky rotorcraft of recent times, the S-76 is the first type since tho S-62 designed by the company purely for the civil market. The main customer area was seen to be the offshore oil support industry, with the S-76 offering 12 passenger seats in standard form with IFR equipment and other navigational aids for all-weather operation. Among the ‘optional extras* are long-range fuel tanks and air-conditioning. This HOh Union S-76C is powered by Turbomoca Arnol turboshafts. The S-76C first flow in 1990. and has also been sold to the Spanish air force. Armod with rocket pods or guns, the S-76 was offered on the military market as tho ‘Eagle’. But it had to compoto with the successful Agusta A 109. Compared to the A 109 and Bell Model 222. the S-76 was a much roomier machine, and the executive version could carry eight people in luxury. Known as the ‘Spirit’ fo civil operators, the S-76 soon demonstrated impressive performance compared to its smaller rivals. ► When configured for full day and night, nll-woathor offshore flying, tho S-76 generally carries up to 12 passengers. >• Sikorsky sold 428 S-76s to customers in Canada. Mexico, the UK and the US. ► A harmonic control system tested on an S-76 reduced vibration by 90 per cent. >■ The S-76 Shadow hod a noso radar housing and fly-by-wire controls grafted onto the front section. >■ Tho S-76B is operated In China, Germany, Japan. Korea and tho Motherlands. ► The first S-76 prototypes flew In 1977 and deliveries began in 1979. Above; This ‘fantail’ variant was fitted with a fenestron-type tail rotor In trials for the Light Helicopter Experimental programme. Lett: With the space to accommodate a high standard of luxury features, the S-76 offered the uttimato In executive transport with its low-noise interior and high speed. To inouco vnwaton. 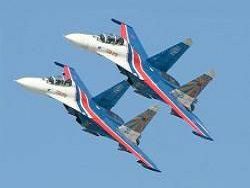 me S-7B nan ЫВпг vbrnton аілсгіх*» above tho rotcr hood. the Government Air Service *i Hong Kong as a search and rescue aircraft in the dangerous waters of the South China Sea.